Difficulty in conceiving is a trying situation for any couple. 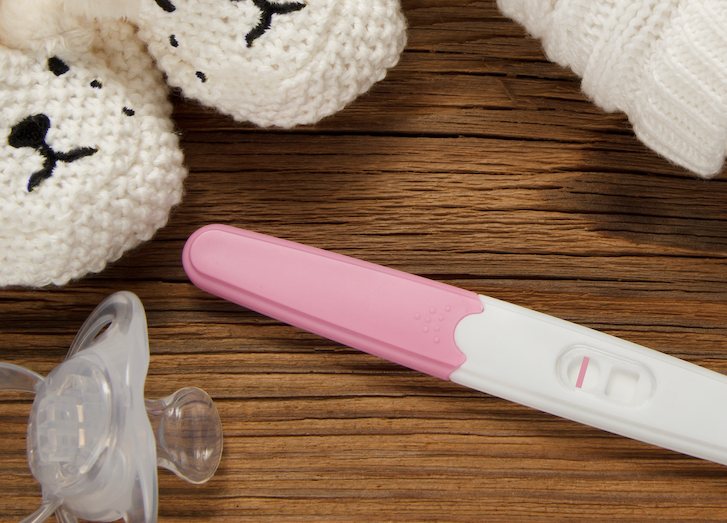 Because of the centrality of children in Judaism, infertility is often especially painful for Jewish couples. 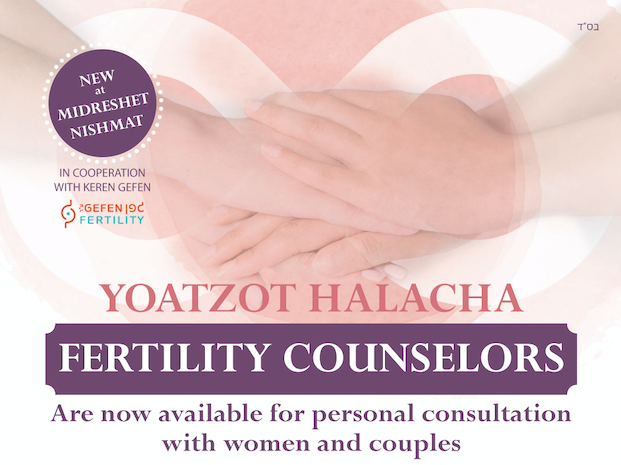 Nishmat Yoatzot Halacha Fertililty Counselors. These are experienced Yoatzot Halacha who have completed special training in conjunction with Gefen Fertility organization in complex issues of Fertility and Halacha. Counselors offer free consultations in person (in Israel) or online, in Hebrew or English, for women and couples experiencing fertility challenges. Click on this form to set up a personal meeting. Keren Gefen (Gefen Fertility) provides emotional and wellness support to fertility challenged women in Israel. Their programs include Fertility Yoga, Mind-Body Workshops, CBT Workshops, Transfer with Tranquility – “Individual Therapy,” Hevruta Jewish Textual Learning and Support Workshops, and the Nishmat Yoatzot Halacha Fertility Counselors Program. Machon Puah: www.puahonline.org (English) or www.puah.org.il (Hebrew). The Puah Institute for Medicine & Fertility in Accordance with Halacha offers counseling, guidance and assistance to couples with gynecological and fertility problems worldwide. They also provide full halachic supervision in hospitals and fertility laboratories for couples undergoing fertility treatments, and offer a variety of courses, seminars, study tours, and lectures. A T.I.M.E. (A Torah Infertility Medium of Exchange). This organization offers numerous programs for couples experiencing infertility or pregnancy loss, including a website, a magazine, a telephone help line, local support groups and educational events, a lending library for books and tapes, medical referrals and advocacy, adoption services, national conferences, summer programs and shabbatonim. The Hilchot Niddah Guide for Medical Professionals. This is the “sister site” of yoatzot.org. The site is designed to enable health professionals, such as physicians, midwives, nurses, and psychologists, to understand the needs of patients/clients who observe Jewish law (halacha). It is an excellent resource for couples seeking to communicate with their healthcare providers about the halachic implications of diagnostic and treatment procedures. Merkaz Panim. Located in Israel, Merkaz Panim uses a multidisciplinary approach – including counseling, body empowerment, and therapeutic massage – to provide emotional and physical support to women and couples experiencing fertility challenges or pregnancy loss. The center also offers information and referrals to professionals in relevant fields. Tefilat Chana . Provides support for Jewish couples in Australia who are experiencing infertility, reproductive health issues or pregnancy loss, as well as an online Ask! service. Yesh Tikva. Created by women who suffered silently through infertility for too long, Yesh Tikva strives to serve the emotional and physical needs of Jewish couples struggling with infertility and aims to increase awareness, empathy and sensitivity from within the community at large. Halachic guidance is available through Yesh Tikvah from two Yoatzot Halacha – Dr. Penina Dienstag and Dalia Shulman, and rabbinic consultation from Rabbi Kenneth Auman, Dean of Nishmat’s U.S. Yoatzot Halacha Fellows Program, and Rabbi Gedalyah Berger, Senior Lecturer for Nishmat’s U.S. Yoatzot Halacha Fellows Program. Zir Chemed. A halachic fertility clinic offering a holistic approach that combines counseling, emotional support and technical expertise. The clinic is located in Israel, but consultations and assistance are also available elsewhere.